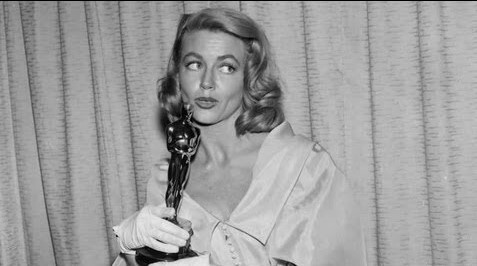 On January 19, 2018, actress Dorothy Malone passed away at the age of 92 in Dallas, Texas. As one of the final living actresses from the Golden Age of Hollywood, she was known for her work in films such as Written on the Wind, for which she would win an Oscar. Even beyond that, she would receive acclaim for her work on the TV series as the lead on Peyton Place, for which she was continually involved with over the decades. With a career spanning almost 50 years, sh has managed to turn in a lot of compelling and versatile roles over the years, including a supporting role in The Big Sleep. While she may not be the most recognizable name, she definitely produced an underrated body of work worthy of more respect. It's an impressive body of work, which will entertain generations to come. Malone was born Dorothy Maloney on January 30, 1925 in Chicago, Illinois. As a child, she moved with her family to Dallas, Texas. During this time, she was spotted by a talent scout that had her read lines with a male actor he was looking to hire. He was so charmed by her that this would lead her to have a contract at RKO by the time she was 18, making her debut in Gildersleeve on Broadway in 1943. Her roles tended to be minor, often in B-Movies, and lead her to be convinced that the only thing that RKO did for her was make her lose the Texas accent. It was here that they, without her permission, changed her surname from Maloney to Malone. She received more money, but her time at RKO was short lived. She would end up at Columbia Pictures, where she worked on westerns and with the comedy duo Dean Martin and Jerry Lewis, and director Douglas Sirk. It was a role that would lead to more fruitful work, starring opposite actors like James Cagney and Henry Fonda. However, her next big move would be to appear on TV, starting in 1956 with Appointment with Adventure. She would also star on the circus drama The Greatest Show on Earth before finding a permanent role for four years on Peyton Place, for which she would receive the Golden Apple for Most Cooperative Actress. She loved playing the role because she enjoyed playing mother roles. Her involvement with the series would expand the next few decades, including on Murder in Peyton Place and Peyton Place: The Next Generation in 1085. Her last role would come in 1992's Basic Instinct opposite Sharon Stone. Dorothy Malone was an actress who enjoyed her craft and left behind an impressive body of work. Whether it was on film or TV, she was known for bringing a certain charisma to each of her roles. Whether it's for her impressive work in Written on the Wind, or her great turn in Peyton Place, Malone helped to define an intriguing archetype for actresses by showing just how complex and interesting they can be. Her work more than speaks for itself and will likely inspire generations to come. She may have not been the most household name, but she definitely knew how to charm people when it mattered.